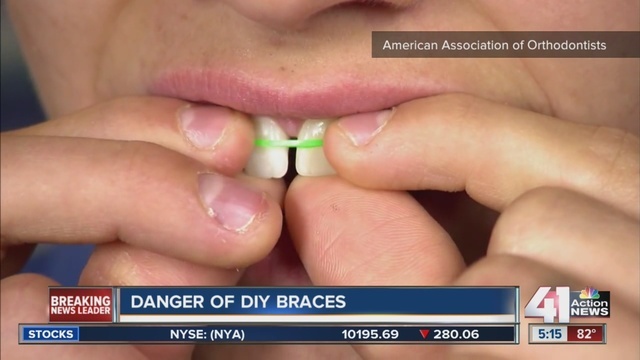 It seems the new buzz in the dental community is the notion of “do it yourself” orthodontics with various techniques passed around on YouTube. I even have had a dentist calling me asking for supplies because she had seen someone moving a tooth on YouTube and she wanted to set up a tooth for a crown in a better position. To be honest, I never really took the notion seriously until the American Association of Orthodontics issued reports to us in private practice (and went national with advertising against such efforts) following the posting of a DIY case by a student who claimed a correction for $60 of materials. 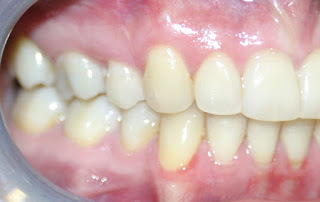 The idea of permanently moving teeth which must fit in all three dimensions with opposing and adjacent teeth (during rest and function), without planning/records and without a care of how the final bite will fit … I mean it seems common sense would tell even the most simple or value-minded people that there would be unforeseen risks and problems. 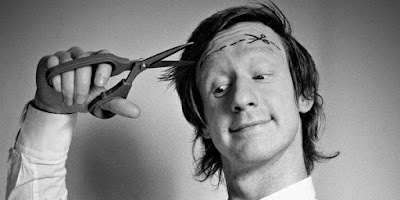 After all, scalpels can be purchased privately but you don’t see people performing surgery at home, right? Does the public really see Orthodontics so simple as if any un-trained individual can move the teeth successfully and without repercussions; and what has led to this erroneous and dangerous perception? I think sadly the answer is “maybe”. First of all I must state clearly and unequivocally: Orthodontics is the most complex specialty in dentistry, hands-down. It requires significant knowledge of biology, bone physiology, physics, anatomy and no small amount of artistic perceptional ability. Moving teeth to a functional and esthetic relationship requires experience and a knowledge based on 100+ years of research and development; and it requires constant continued education of new technologies, new techniques and new research. In short, it requires a trained specialist with years of specialty training beyond Dental School. Orthodontics is not quick, it is not cheap and it many times requires fixed braces for a full correction; if there was a short/cheap/dependable shortcut, your Orthodontist would be using it! Some of the force diagramming used when planning orthodontic movements illustrating the physics employed by Orthodontic specialists in every case. 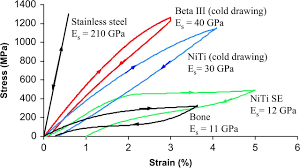 The diagram on the lower right illustrates the different properties/stored energy potential for various wires regularly used (clear aligner trays only come in one size for every movement) v. the elasticity of healthy bone. Note these don’t even take into consideration the fit between upper and lower teeth OR the fit when the jaw is moving side to side. 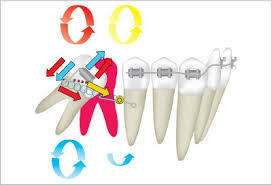 So from where is this simplified view of tooth movement emanating? First, there has been a rising trend of Clear Aligner treatment pushed by general dentists that can now leave your tooth movements (I don’t consider this Orthodontics) up to a lab; in essence it allows a general dentist with little to no orthodontic training to take impressions/scans and send them off to a lab for clear aligners to deliver similar to a mouth-guard, bite splint or retainer. I leave the efficacy of these aligner systems for another day but will say these aligners are aimed at esthetics over function and they remain VERY limited in any ability to move roots. Aligner trays end up pushing teeth outward and can tip teeth completely out of the bone leading to relapse and recession that can be difficult or impossible to fix. 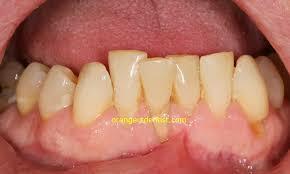 Relapse with recession following dental arch expansion. In conjunction with this, we have public companies funded by share-holders (and millions of dollars) which advertise directly to the public through television and magazines, pushing clear aligners that magically do all the work (simplifying tooth movement to a lab procedure) as equivalent to traditional braces. General dentists push it because it is all they can do and they want the money/patients unfortunately this can lead to a dentist placing profit above the needs and well-being of the patients). In fact, any Orthodontist will tell you that once a General Dentist starts providing Invisalign, all referrals stop including the most complex cases that would be difficult even for the specialist; even the younger kids that require early interceptive treatment are not referred because the Dentist wants to offer teen-Invisalign later and it cannot be performed until all molars are erupted (after growth and after many problems are set and un-correctible). In turn, many Orthodontists feel the pressure and have begun offering Invisalign rather than lose patients to their general dental colleagues (they feel at least they will be able to fix problems with braces at the end which they usually have to do) but the effect is a watering down of the quality and a false equivocation of Invisalign to true Orthodontics. Second, technology used by clear aligner labs is partially available to the public; people with some tech-knowledge can scan their teeth and produce models with 3D printers. In Austin where I live, I have seen middle school kids using 3D printers in their science projects! 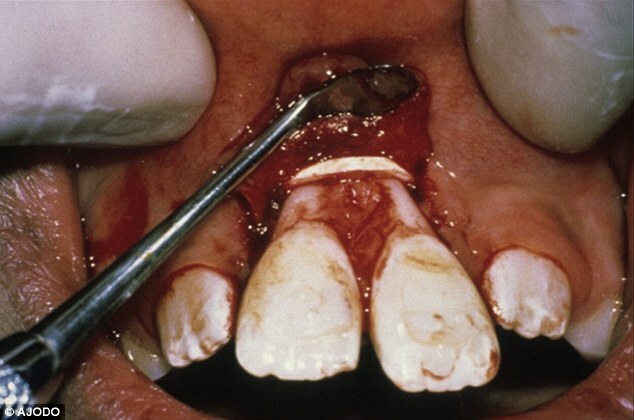 Although crude to dental standards, it can appear similar to the trays used by doctors and some have placed videos online suggesting they “fixed” their own teeth enticing others with a cheap short-cut. Finally, the push to find discount alternatives (over quality) and a habit of googling our own common sense away has allowed ignorance to persist as knowledge; consider people placing rubber-bands around two adjacent teeth with the simplified idea of closing a gap (only to open another on the back side, tipping one or both teeth and having the rubber-band slide up the root and destroy the supporting bone). I even see patients following online advice and travelling to 3rd world countries to “save” a few dollars only to learn they have condemned their teeth and now require implants or worse. We now see foreign sources advertising do-it-yourself impressions to send in and receive do-it-yourself aligners online. Rubber band placed over front two teeth. This is really what our medical and dental system is evolving toward; a google/Internet based pseudo-knowledge driving patient treatments over the advice and recommendations of highly trained specialists. As a specialty, we have failed the public we serve by keeping our heads in the sand as these false treatments have grown into the storm we see now. Unfortunately we do not have the time or money to combat both the Internet and national advertising by big corporate entities such as Invisalign so we work within our regions to offer what we know is good treatment and, as long as we have patients enough to keep afloat, we just ignore the growing malignancy outside our door. Orthodontists may eventually have to take a more active role against this DIY value/ignorance-based mentality for their own sakes but for now all I can say is “if it sounds too good to be true”, or if you are being told what you want to hear at your urging, buyer beware. The most expensive Orthodontic correction is the one requiring re-treatment or even restoration due to damaged/lost teeth. If it were as easy as a scan or impression to fix the teeth, no dentist would spend another 2 to 3 years in specialized Orthodontic training (and dig into another $200K debt). Until a sharp Lawyer brings a class action suit or two against these aligner companies for false advertising and against some of the dentists for poor treatment, we will continue to see a devolving of this highly specialized field known as Orthodontics and an increase in DIY gimmicks. Should I consider “Discounted” Orthodontics? In a competitive market, we sometimes see a desperate blur of advertisements as an effort to draw patients from one area or from another practice. It may be a “price match” or possibly a “discount for residents of ….” and usually it is from the least experienced and least qualified practitioners. Treating with Orthodontics is as much an art as it is a science; unlike comparing prices with refrigerators or other tangible items, orthodontic treatment can be very different from one practitioner to another. 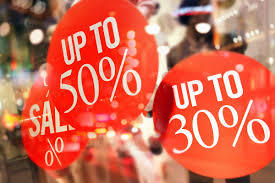 This is not to say one practice may be lesser quality just because the price is lower however you will almost always get what you pay for; if the price is cheaper, you an expect lower quality products used, lesser trained staff with an under-staffed office, poorer customer service and/or the location is less than favorable. In short, if a Specialist in Orthodontics is offering a broad discount, there is clearly a reason he or she cannot fill their office and it may merit scrutiny. 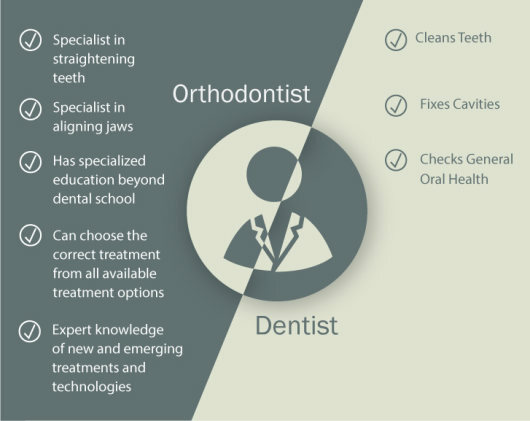 So what should a prospective patient look for when searching out a quality Orthodontist? First, experience is probably one of the most important attributes (experience as a trained specialist). Repetition however is not the same as experience; such as a general dentist providing braces for years who is inherently untrained to start with; experience only matters if the doctor started with a good foundation and training then built on that training through years of careful and considerate treatment. An experienced Orthodontist will have treated thousands of patients from the very simple to the very complex; they will know how to properly diagnose the case, plan for variations and know how to price a case accurately. They will seek and become Board certified, attaining Diplomate status with the American Board of Orthodontics. They will take records before quoting costs and will usually sit down with you to discuss a full treatment plan using the records and displaying other similar cases for comparison. They do not offer discounts across the board and they do not advertise as if they are dealing in used vehicles. 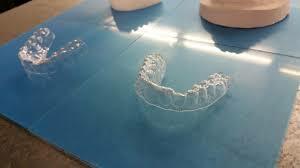 All too often I see patients poorly treated or incompletely treated because aligners failed or because the appliances used were not capable of correcting the malocclusion; maybe the patient was told they could treat with Invisalign (see below) or limited braces when in fact treatment required much more effort (and cost). Maybe the appliances could not produce enough force, or perhaps the design of the force systems used was inaccurate and inadequate to control movements efficiently. Instead of re-charging accurately to cover the necessary extended treatment (with added or different appliances) or taking full records and planning a thoughtful course of correction from the beginning, the doctor may simply quote a generic or discounted general fee and ultimately end up removing appliances after exhausting patience (usually advising the patients they could not get a better correction). The above adult patient came to me unhappy with results elsewhere; note the over-expansion from clear aligner trays; this patient was told “that is how her teeth were supposed to be” after being treated as an adolescent with braces by a general dentist and later treated with Invisalign by another younger Orthodontist. Records were taken and new plan formulated custom for this patient; a plan to pull teeth back over the center of the bone to stop recession and to re-align into a stable position. One year following Orthodontic treatment, you can see I was able to pull the teeth back over the bone while providing a beautifully aligned and ideally functioning occlusion. This correction could have been performed as an adolescent (the FIRST time if the treating doctor has taken full records and planned a customized treatment plan. The SECOND treatment with Invisalign could not pull the front teeth back so it was destined to fail from the start leaving us to finish the re-treatment on the patient’s THIRD try. Overall cost: $17,000. When I asked why she chose Invisalign, she said it was on sale at the office she drove by and the doctor said it would work the same as braces. That discount doesn’t look too good anymore! I believe this kind of problem usually stems from inexperienced (sometimes unethical) doctors trying to read the patient/parent and tell them what they want to hear, including setting an unrealistic cost just to entice a patient to start (or offering a treatment that is less than ideal and telling the patient it works just as well as braces). A quality-oriented and experienced Orthodontist knows there are no short-cuts for an excellent correction and they will tell you if one treatment is not ideal even if it is not what you are looking to hear. The cheapest treatment is always the treatment that fixes the problem the first time; re-treating is always the most expensive course. 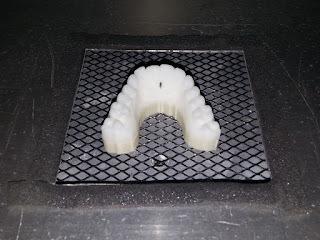 Aligning teeth is much more complex than the public has been led to believe by advertisers such as Invisalign; every patient is different, every bite unique. The doctors that attempt to attract patients based on “discounts” or other salesmanship generally are not going to take the time to accurately diagnose and treatment plan you or your family as unique individuals. Though it may appear at the beginning that you are saving a few dollars, you may very well find that you are re-treating at a much higher cost later.